Ahwaz protests in Iran: A sign of things to come? Tensions continue to rise between the new US administration and Iran with a series of actions and reactions. Most recently, Iran has launched a new round of military drills, embarking on more provocative actions, while US allies such as Saudi Arabia and Israel have joined in by issuing what is described as twin warnings to Iran. All the while, what should not go neglected is the simmering status inside Iran. The society is considered a powder keg as unrest continues to grow after 38 years of the mullahs’ atrocious dictatorship. The last four years of the so-called “moderate” or “reformist” Iranian President Hassan Rowhani has also failed to yield any demands raised by the people despite claiming to hold the “key” to all problems. 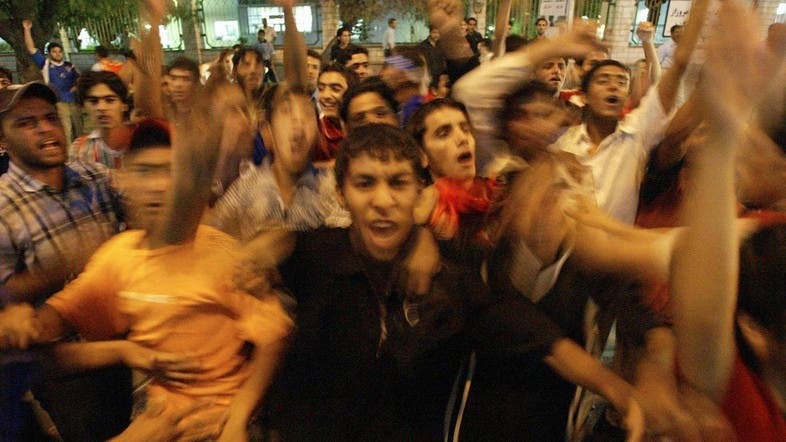 The city of Ahwaz in southwest Iran has been the scene of continuous unrest, as locals are protesting a slate of disastrous plans implemented by the mullahs’ regime to reroute Karoon River, a major source of water for agriculture and other vital aspects of life in this area where the summer is scorching hot. These projects include also the diversion of waters from Karkhe River, excessive dam construction and the oil ministry resorting to inexpensive oil extraction methods. This practice, mainly implemented by the Revolutionary Guards, has fruited a long list of dried local lakes and ponds. 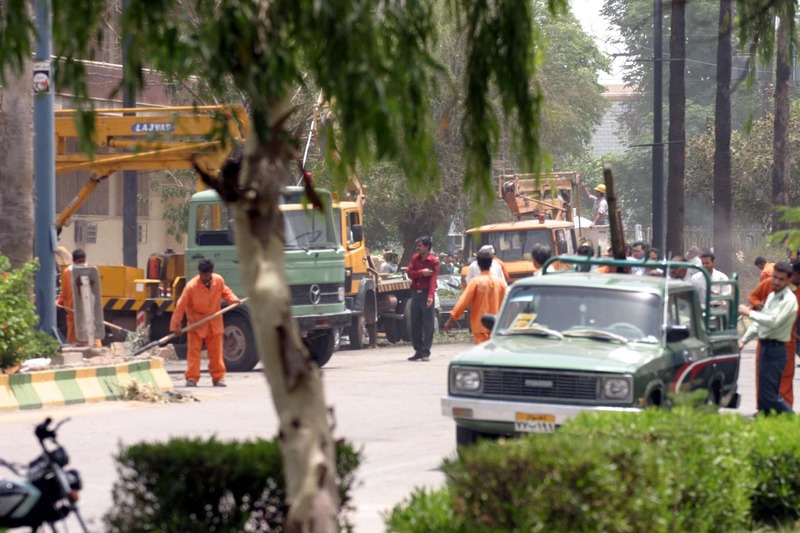 The result has been nothing but increasing air pollution and water and power being frequently cut off. To this end, the people’s very health is in danger as clean air to breath is literally hard to find. Banks, administrative offices, schools and universities have been closed in nearly a dozen Khuzestan Province cities. Even oil production, which Tehran seems to boast to have escalated above 4 million barrels per day now, has suffered tremendously with a 770,000-barrel nosedive. However, the most concerning aspect of the entire situation for the regime involves the growing number of street protests that began on February 12th and continued for at least a week in the face of numerous warnings issued by the repressive state security apparatus. And despite heavy security measures to prevent any escalation of such rallies, even a gathering brewed in Tehran’s Vanak Square where protesters expressed solidarity with their fellow countrymen and chanted against the mullahs’ regime. Iranian opposition leader Maryam Rajavi hailed the people of Khuzestan, and especially Ahvaz, while calling on all Iranians to rise in support. The mullahs’ regime is the main source of all major and minor dilemmas in Iran, which in this case has resulted in the people being deprived of water and power services, alongside growing unemployment and rampaging diseases threatening the locals, Rajavi added. “One cannot expect the mullahs’, the regime’s leaders and officials to provide any solutions,” she added, calling upon the entire nation to support the deprived people of Khuzestan, most especially the ill and vulnerable. While the province is rich in oil, the locals have yet to enjoy any benefits. Home to one million inhabitants, the city of Ahvaz is plagued by a large number of surrounding petrochemical factories that emit a large scale of pollutants. This has left locals engulfed in environmental challenges reaching the point where the World Health Organization ranked Ahwaz as the world’s most polluted city in 2015. 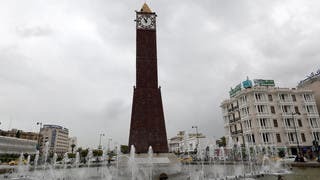 The situation has been described as “terrible and extremely complex” by activists and locals complaining the regime only seeks to make money from their lands. The regime responded to the unrest by issuing a statement warning people to refrain from “illegal gatherings” and serious action will be taken against any and all violators. Riot police units have also been dispatched to Ahwaz, in addition to additional forces from neighboring provinces. Authorities banned many Western reporters from visiting the city, raising even more concerns about the regime’s true intentions. The regime continues to fail to respond to the people’s demands, as all the country’s budget is allocated to warmongering across the region, including Iran’s involvement in Syria, the regime’s nuclear and ballistic missile program and a massive crackdown machine missioned to clamp down on any dissent and resorting to atrocious human rights violations in the process. 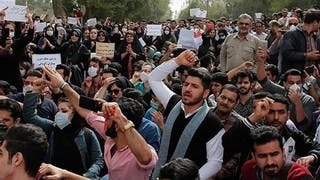 Rest assured the scenes witnessed recently in Ahvaz are only a prelude to more intense episodes of future rallies in different cities across the country that will rattle the mullahs’ entire foundation.